Liz's Paper Loft: MCT Made In Minutes ~ thinking of you! 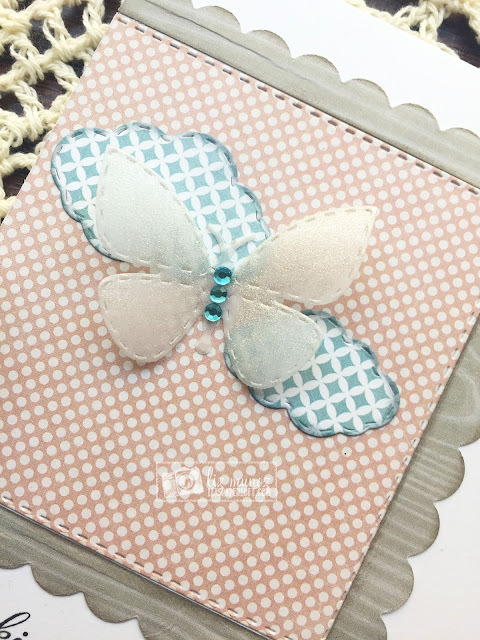 I inked the edges, then attached everything and added the rhinestones to the butterfly. 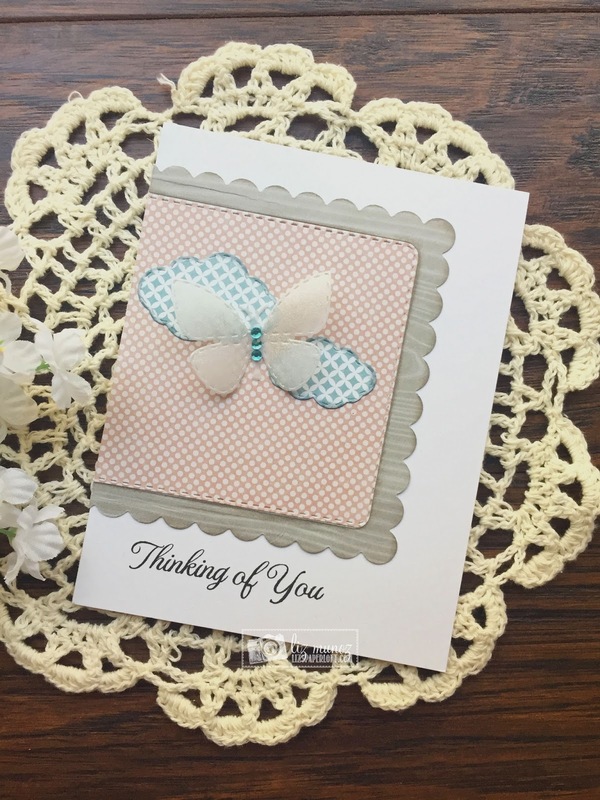 I love it when a card comes together that easy! OMG Miss Liz What a Gorgeous Card. Talk about turning Trash into Treasure. Love your little story....you took time to stop and smell the roses and look where it gotcha...a Gorgeous and a Spectacular....share. Love...LOVE!! 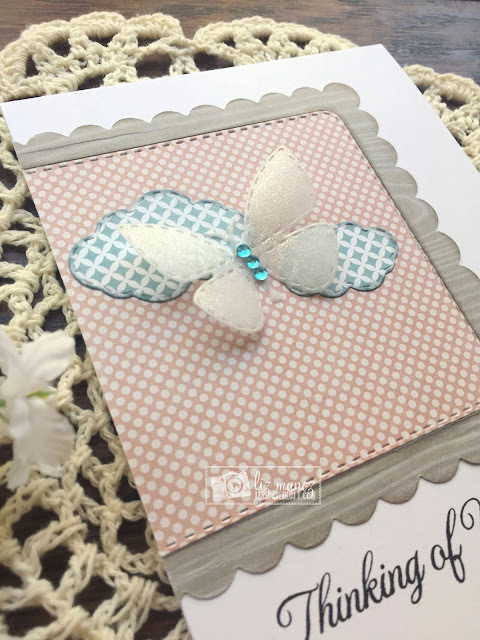 Cute card...great job using up your leftovers from other projects!